Product #60660 | SKU 6-3216 | 0.0 (no ratings yet) Thanks for your rating! Can extend the working distance of the Cinegears Ghost-Eye 5 GHz transmitter/receiver system up to 3300'/1000m. 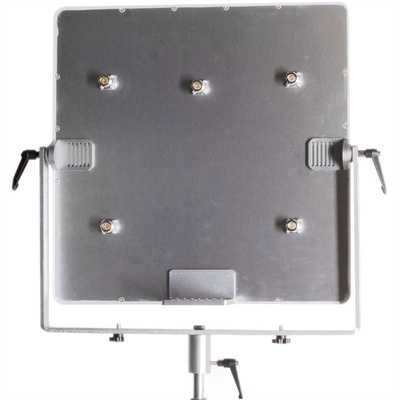 The Cinegears Ghost-Eye Extra-Large Panel Antenna can extend the working distance of the Cinegears Ghost-Eye 5 GHz transmitter/receiver system up to 3300'/1000m. Inside the panel are five 14 dBi antennas in an array to focus the transmission/reception. The exterior is finished in white to help prevent overheating in bright sunlight. A yoke for light-stand mounting, a bracket for securing the transmitter or receiver, and antenna cables are included.